In addition to Bio-Identical Hormone Replacement Therapy and certification for the use of Medical Marijuana we offer a full range of health-care to keep you feeling great. We take a much wider look at causation from an integrative approach. Our goal is to prevent illness, maintain good health and control disease. We do this by looking at the whole person, considering all aspects of your life when treating your illness, and helping you stay healthy. We know that emotional, social, family and other concerns are an important part of your well-being. We strive to provide you with the best care possible. Patient services focus on the total person and offers complete primary care services to the entire family. Acute illnesses of most kinds. Bio-Identical Hormone Therapy – PMS, menopause, Andropause (“male menopause”). I aim for optimal levels of when people were in their “prime” – I do NOT give excess hormones like many body-builders or athletes take. Studies done on people using properly balanced bio-identical hormones show a decreased risk of heart attack, stroke, Alzheimer’s, and most cancers for men and women. Diagnosis and Treatment of Thyroid Disorders where lab tests might be normal – some call this “sub-clinical hypothyroidism.” There is also something called “Wilson’s Temperature Syndrome” that is some form of low thyroid system function. I am certified by WTS in the treatment of that disorder. Toxic Metal Assessment and Therapy (mercury, lead, arsenic, aluminum, cadmium, etc.). One of the most common underlying causes of low hormones (especially growth hormone) is toxic metals. Adrenal Function assessment and therapy. Obstructive Sleep Apnea (OSA) – cessation of breathing during sleep usually from partial obstruction (marked by snoring). This is extremely dangerous and unhealthy, effecting adrenal glands and normal release of a person’s natural Growth Hormone. Healthy Aging (also sometimes called “preventing the diseases of aging” or “anti-aging medicine”). The goal of “anti-aging” doctors is to optimize the time in “elder age” of vibrant, active, joyful, productive years. 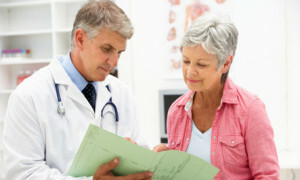 Typically as people age now, they become more and more ill and less active with a marked decrease in quality lifestyle. Growth Hormone – GH in adults should really be called “immune support” and “body repair” hormone. I do not in general use injectable GH (it is legal contrary to popular opinion). The largest normal natural release of GH occurs during stages 3 and 4 of sleep, so I look for problems of sleep including obstructive sleep apnea and central sleep apnea (which is extremely common) and I encourage the kind of exercise that promotes release of GH. And optimizing testosterone in men and women helps increase levels of GH. Medicinal Uses of Marijuana that do not cause “highs” or “buzzes” – the proper use of marijuana to maximize the healthy chemicals available and minimize the unhealthy. Traumatic Brain Injury. It is now known that even mild concussions can cause mild to profound pituitary dysfunction leading to dysfunction of almost any gland/hormone – the most common deficiency is in growth hormone and optimizing that can help recovery greatly. Patient Education – this is of utmost importance in almost every problem.